Companies needing corporate training sessions can post their requirements. Trainers who offer educational services can search jobs and respond. Heavy use of Google maps API to match trainers max travel distance with job opportunities. 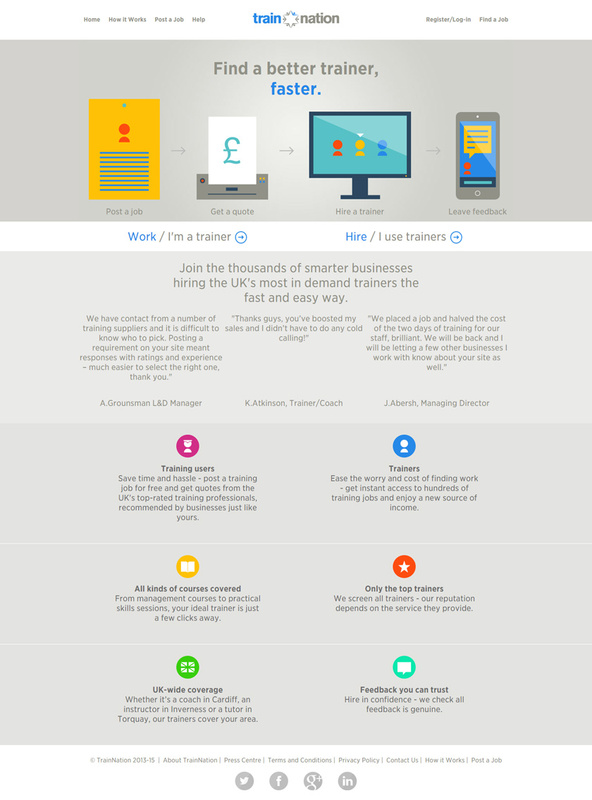 "TrainNation is the online job marketplace that gives businesses direct access to the UK's most in-demand training professionals." Companies who need corporate training sessions can post a job specification, they can then track and interact with individuals or companies who provide the needed services. Respondents are vetted and reputations established through the feedback system. Individuals or agencies who provide corporate training sessions can search for job opportunities in their area which match their expertise. They can apply for jobs and track applications and potential clients through the messaging system. A lot of the functionality for this site is available without an account. With an account you can post and reply to jobs, however there is also an admin area for the site owner which isn't publicly available, to see this admin area, contact me and I'll set you up a personal account. Tracks waiting times for Cancer appointments from data released by the NHS. Used to better inform Health Trusts about best practice. 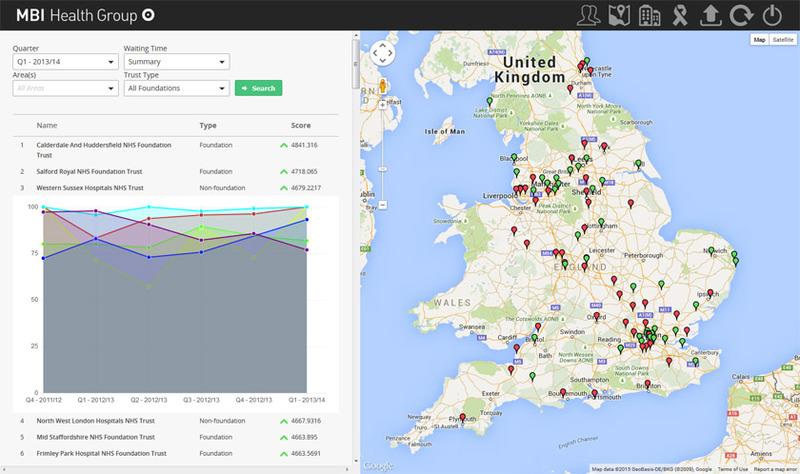 Monitors over 200 NHS Health Providers across England. "We are experienced healthcare advisory and industry experts who have worked in large international consulting firms and iconic healthcare organisations. With the benefit of true expert knowledge and practical experience, we can deliver more thoughtful, creative and powerful work." This application allows the client to easily upload data released Quarterly by the National Health Service regarding Cancer waiting times across three key date points, 14 days, 31 days and 62 days. The resulting reports allows users to filter the data by areas, cancers, and waiting times as well as tracking the results for individual cancers across time. Much of the functionality for this project is password protected for security reasons. To see it's full capabilities, contact me and I'll set you up a personal account. Fully functional clone of airbnb. Users can post their properties and track their rentals. Holiday makers can book time slots and talk to owners. 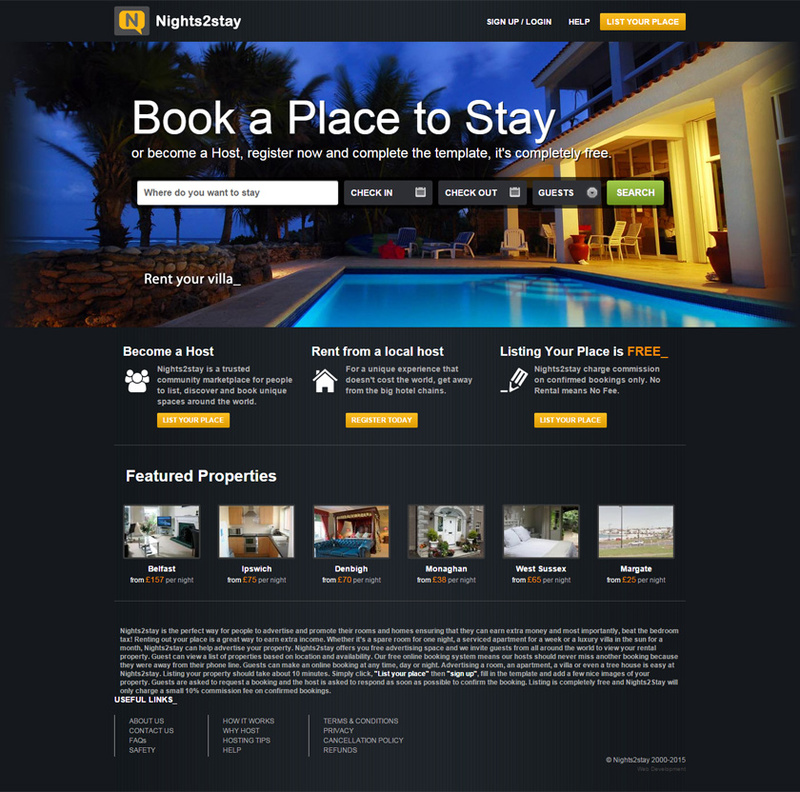 "Nights2stay is a community marketplace where people can come to list their property for rent." Copied functionality wise completely from Airbnb as per client's requirements. Users can post their properties and set rates, and surcharges or extras, and availability. When clients make bookings, contact and the bookings are tracked by the application. Interested holiday makers can search for their ideal accommodation using a comprehensive search filter and then message and make bookings through the site. A lot of the functionality for this site is available without an account. With an account you can post your property amongst other things, however there is also an admin area for the site owner which isn't publicly available, to see this admin area, contact me and I'll set you up a personal account. Custom built from scratch to allow Australia Day Foundation to update their yearly celebrations. Admin interface allowing client to edit sponsors, update the gallery, handle nominations and edit all aspects of the website. Designed by DT.Practice but coded by me. "The Australia Day Foundation is a non-profit organisation and was established in 2003 with the aim of bringing together the Australian community in the United Kingdom to celebrate Australia's national day and promote Australia as a confident, creative and outward looking nation, with a strong economy and an abundance of talented people." A fully functional website including admin interface which allows the Australia Day Foundation (based at the Australian High Commission in London) to manage and promote their annual awards ceremony. 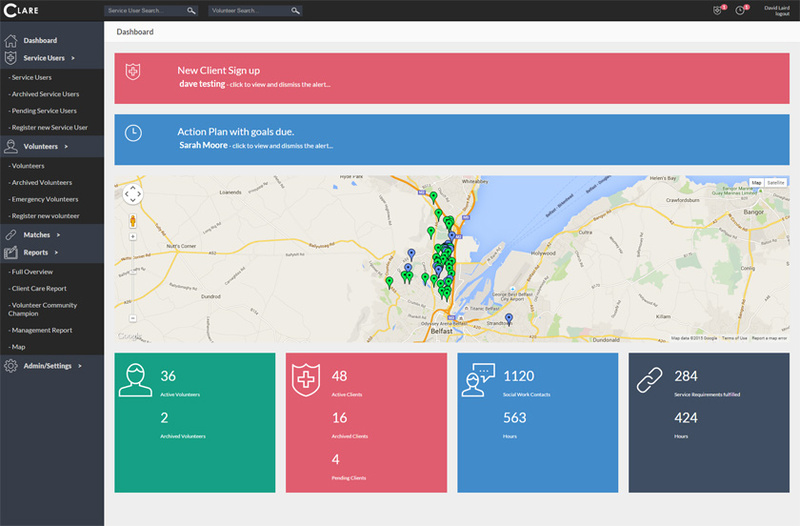 The application was built entirely from scratch and allows the client to input and track all the information from each years event. This includes the nominations, the structure of the event night (chef, entertainment etc), the nominees, the ceremony itself and the resultant photographs. The interesting part of this application is the admin interface which is password protected. To see it's full capabilities, contact me and I'll set you up a personal account. 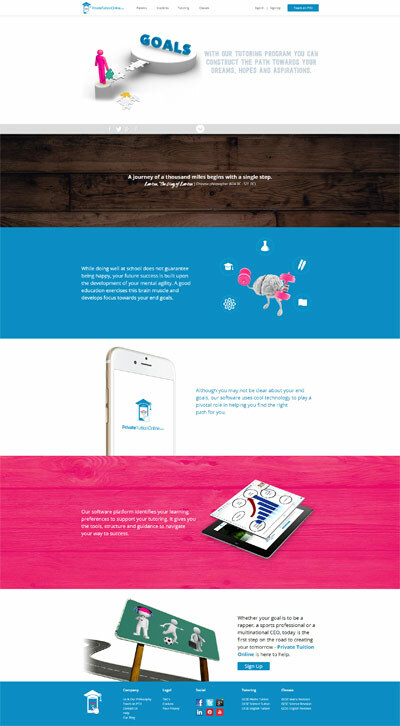 Innovative "reveal" auction game for leading Irish charity. Users flip a product and click to see the price, they have 10 seconds to decide to buy before the item flips back and the price decreases for the next user. "Rehab Deals.ie offers a brand new concept: great deals for customers on top-of-the-range consumer items from leading retailers, with all of the profits that Rehab receives going directly to specific projects benefiting people with disabilities." This application features a fully customised admin interface to allow the client to manage their products, the price increments and sudden price drops, clients and orders, all built from scratch, exactly to their specification. To best understand this site I recommend heading straight to the 'Try Demo' button in the top right corner. A lot of the functionality for this site is available without an account. With an account you can bid on items, however there is also an admin area for the site owner which isn't publicly available, to see this admin area, contact me and I'll set you up a personal account. "CLARE-C.I.C. is operational in a pilot phase in Mount Vernon estate and outskirts focusing on developing a sustainable and scalable community model that will be extended along the Shore Road and Inner Belfast." This application allows social workers to track individuals under their care, recording all contacts with the person or tasks performed on their behalf. The organisation also invite the public to sign up to the project and volunteers some free time to provide services to their neighbours, the application's algorithm matches volunteers with vulnerable people according to availability and service requirements. Serves different adverts to visitors according to location. 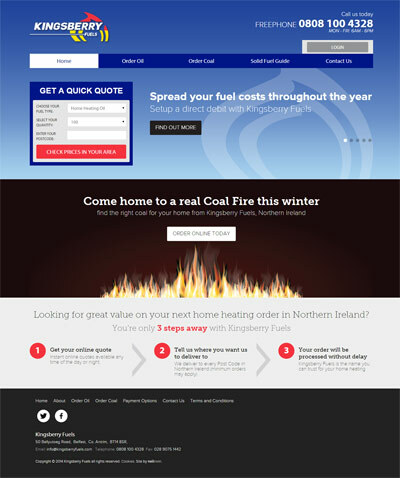 Used in sites across Ireland. "The system allows us to precisely target adverts to our large customer base which our advertisers love!" SelectWifi supply wifi to various sites throughout Ireland. The system allows them to sell advertising space on their landing pages when customers log on to use their service. They can track advert views as well as targeting according to time of day, day or the week and location of user. This application is an admin interface which is password protected. To see it's full capabilities, contact me and I'll set you up a personal account. A bookmarking site which encourages you to share your favourite bookmark lists with your friends. 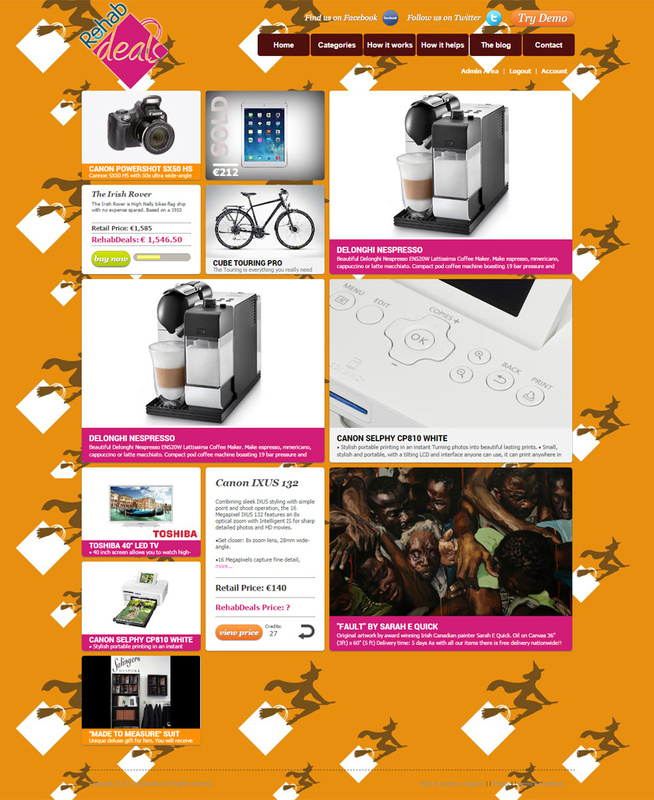 Optional fully customisable look and feel for each square, grid and page. "Our application allows users to save and share important sets of bookmarks with each other. So you can share your music bookmarks with your music buddies and your sports bookmarks with the guys on the team." 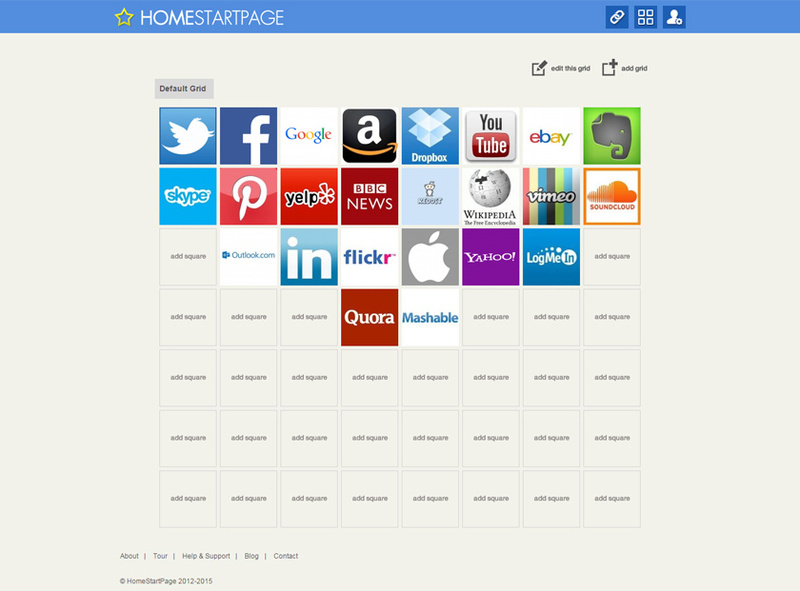 A bookmarking site which allows users to save movable bookmark links in an organised grid. Grids can be edited and shared. For example, teachers can organise subjects into grids of links and share them with pupils as a teaching aid. Users can share their favourite bookmark links with friends who share a common interest. 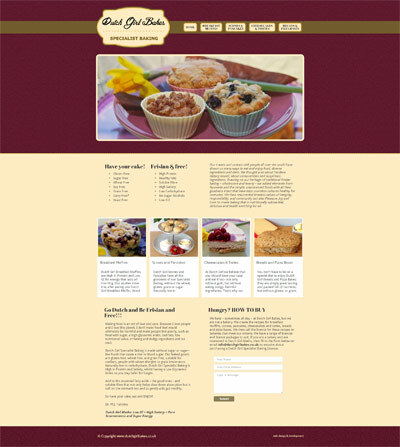 Designed to be fully customisable so all squares, grids and pages can have customised backgrounds and colours. This application has an admin interface which is password protected. To see it's full capabilities, contact me and I'll set you up a personal account. Tracks children and all their details through nursery, from first show-around until school age. Supports multiple branches, rooms in branches and teachers. Messaging and alert system between supervisors and with the owner. "A comprehensive business system for managing our chain of day care nurseries." An application to manage a chain of childcare nurseries. 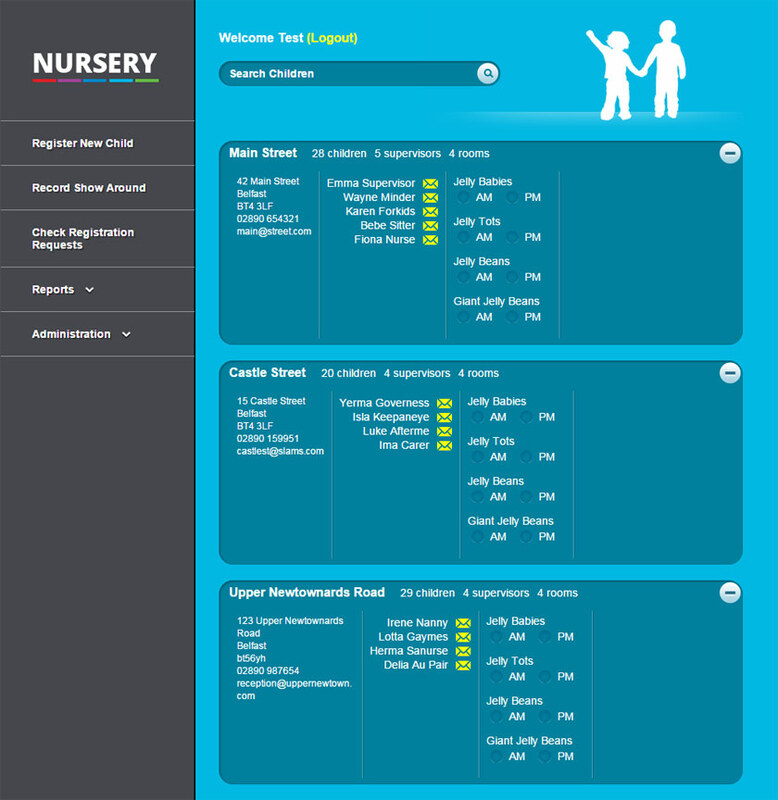 Built to the specification of the nursery owner and allows them to log children and their parents/guardians and associated details, you can manage the rooms that the children are placed in, take attendance etc. 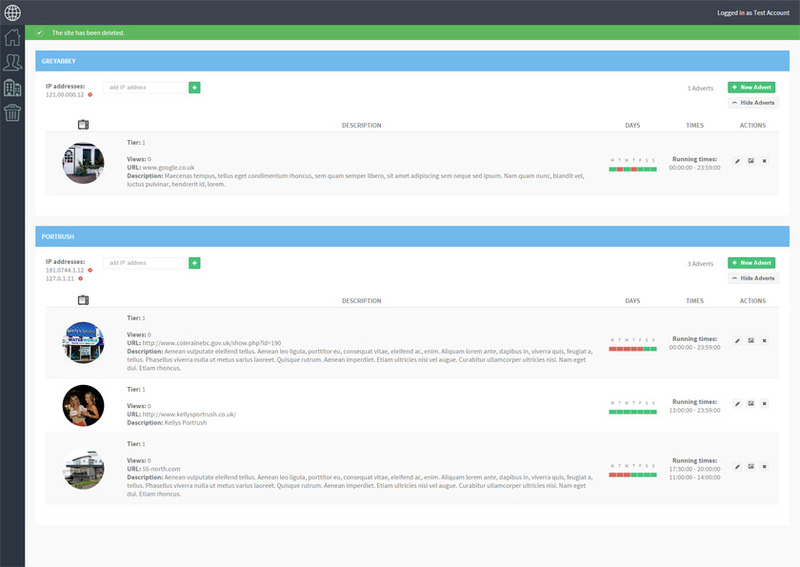 Also you can run reports, contact colleagues, as well as many other functions. Responsible for cutting psd's and coding the html mobile friendly. 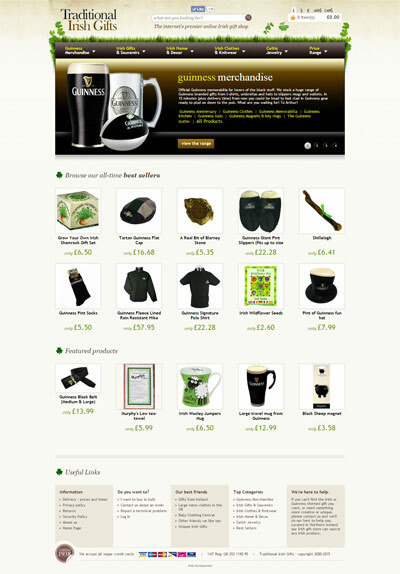 Ecommerce site built on zencart with custom search filter and many other custom built modifications. Realex Payment API integration. 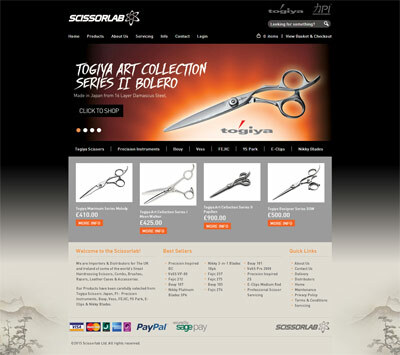 An ecommerce site built on the zencart framework and integrated with SagePay Payment API integration. Designed and built - a simple static site. 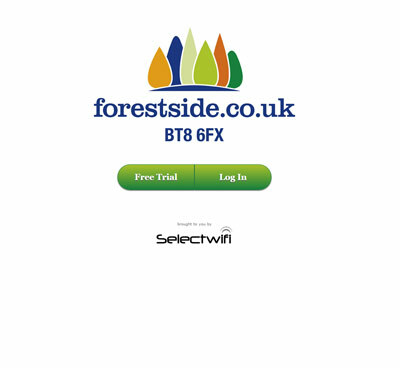 Helped to set up the free wifi available at forestside.